The Paleo diet has always been difficult to take very seriously. The program aims to mimic what our hunter-gatherer ancestors ate during the Paleolithic era and is most often associated with city-dwelling males who go around pretending they’re cavemen. But the new shepherds of the Paleo diet aren’t hypermasculine men who install meat lockers in their apartments and gnaw on turkey legs; they’re friendly, perky women who wear polka dots and create Paleo-approved recipes for banana porridge. Including women has made the Paleo diet more popular than ever — even as the science it’s supposedly based on looks more and more dubious. The diet’s been around since the sixties, but scientist Loren Cordain is the modern-day leader of the movement. His book, The Paleo Diet (published in 2001), set the ground rules for “what we’re programmed to eat.” (The idea is that humans predate processed foods, dairy products, legumes, refined sugars, and grains, so as a result, it’s best for us to avoid them). Then came Cordain’s student-protégé, Robb Wolf, a former research biochemist, power-lifting champion, gym owner, and author of 2010’s The Paleo Solution: The Original Human Diet (first sentence: “This book could save your life.”). If Cordain is the movement’s L. Ron Hubbard, Wolf is its Tom Cruise. Wolf has helped attract plenty of female fans. Now there’s a core group of Paleo women who are blogging, landing lucrative cookbook deals, and amassing tens of thousands of Twitter followers. Diane Sanfilippo, the author of Practical Paleo, is arguably the most successful of the group. (She learned about the Paleo diet after attending one of Wolf’s seminars.) Sarah Fragoso, author of the soon-to-be-released Everyday Paleo Around the World: Italian Cuisine, credits his influence, too. 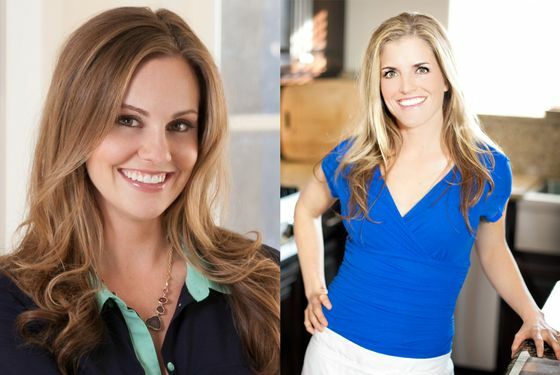 Other members of the cavewoman tribe include Danielle Walker (who has a book dropping this summer) and Elana Amsterdam, an author of popular gluten-free cookbooks. She calls the Paleo diet a “notch up” from the gluten-free lifestyle, and — you guessed it — she also has a new book coming out soon. These women all cite similar-sounding reasons for joining the Paleo movement: It helped them overcome diseases, lose baby weight, and excel while exercising. How? Well … they’re not exactly sure. “I’m not a nutritionist, and I’m not a scientist,” Walker says. “But I know how sick I was, and I know that the Paleo diet has kept me out of the hospital and let me enjoy my son.” Her son is now a gluten-free toddler who eats only sprouted grains. They all fit a similar mold, too: sporty, healthy, attractive. That’s no coincidence, of course. They’re ambassadors for the brand, and they need to look the part. “You’re not hungry all the time like you are on most diets,” Walker says, in full saleswoman mode. “You look at the Paleo community and no one’s stick-thin. Everyone looks happy, fit, and healthy.” In other words: A woman on this diet plan is the anti-Gwyneth. Danielle Walker (left) and Sarah Fragoso (right).Photos courtesy of Victory Belt Publishing. The message is clear: If Paleo dudes are intense and primal (That Paleo Guy’s latest post is called “I See Weak People”), then Paleo women are simply regular people who want to be fit and energetic. “Us female mommy bloggers have made this approachable to daily life,” says Fragoso. And that message is working. Practical Paleo spent 21 weeks on the Times best-seller list, Dr. Oz dedicated an entire episode of his show to the diet, and mainstream women’s magazines tout the health benefits. But the science behind the Paleo lifestyle is, at best, uncertain: The hunter-gatherer lifestyle that the diet aims to replicate has more in common with the Flintstones than actual historical facts. And even beyond that, the human body has evolved quite a bit in the past couple million years. Last week, an article in Scientific American argued that we’re not biologically identical to cavemen, we don’t have access to the foods they ate, and we’re not even sure what the hell hunter-gatherers were eating. Even though researchers know enough to make some generalizations about human diets in the Paleolithic with reasonable certainty, the details remain murky. Exactly what proportions of meat and vegetables did different hominid species eat in the Paleolithic? It’s not clear. Just how far back were our ancestors eating grains and dairy? Perhaps far earlier than we initially thought. What we can say for certain is that in the Paleolithic, the human diet varied immensely by geography, season and opportunity. Jabr concludes, “Chucking the many different hunter-gather diets into a blender to come up with some kind of quintessential smoothie is a little ridiculous.” It’s certainly beneficial to cut back on processed foods, but the rationale behind restricting grains, dairy, and legumes is, per Scientific American, “at best, only half correct.” There’s also an entire book dedicated to debunking the diet. The appeal of the Paleo diet is obvious. After all, you get to eat bacon. But its rise has as much to do with selling books as eating better — a concept that certainly would have been foreign to our hunter-gatherer ancestors.